With Christmas just over 1 week away we are encouraging everyone to pre-order Cheese, Meats, Pies, or Quiches that they will need over the Christmas period. 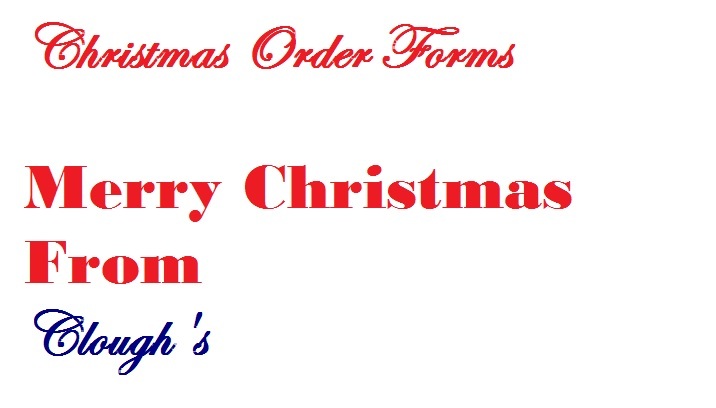 Please download our Christmas order forms and submit your order by the 18th December. Merry Christmas from all at Clough’s.